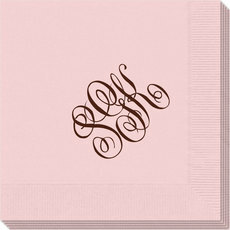 Set of napkins with a three letter script monogram plus your personalization. 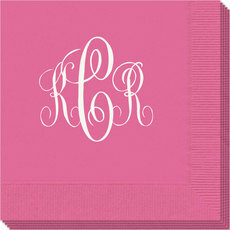 Your choice of napkin color, imprint color and placement of imprint. 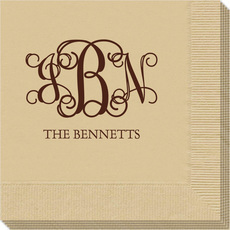 Quality 3-ply napkins you'll be proud to use or give. Napkins are shrink wrapped in sets of 50. The pricing was awesome and the quality looks great. i cant get over how easy it was to order and get these before our actual date of my daughters wedding!